by the world’s leading photography experts, publishers, retailers and top chefs. Putting the prize pool aside for a moment, (and yes there is a £5,000GBP cash prize and a free trip to London for the overall winner!) the Pink Lady® Food Photographer of the Year competition also offers a unique opportunity to market your photography to millions of people globally. Prestige, profile and commercial opportunities are all part of the rich mix of benefits that can flow from entering these exciting and significant photography awards. 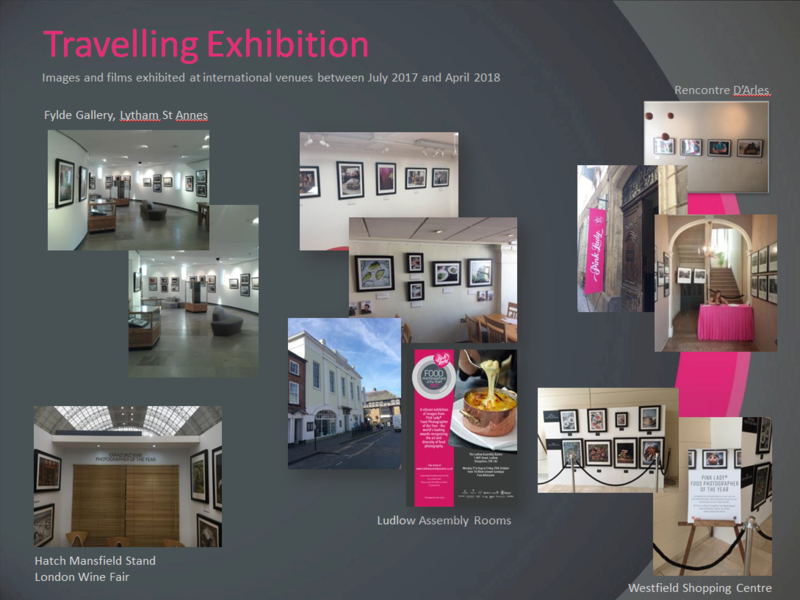 In addition to being included in the open-to-the-public exhibition at the world-renowned Mall Galleries, London in Spring 2019, our Finalist images go on to travel to other exciting destinations throughout the year giving, your work even more free, high profile exposure. 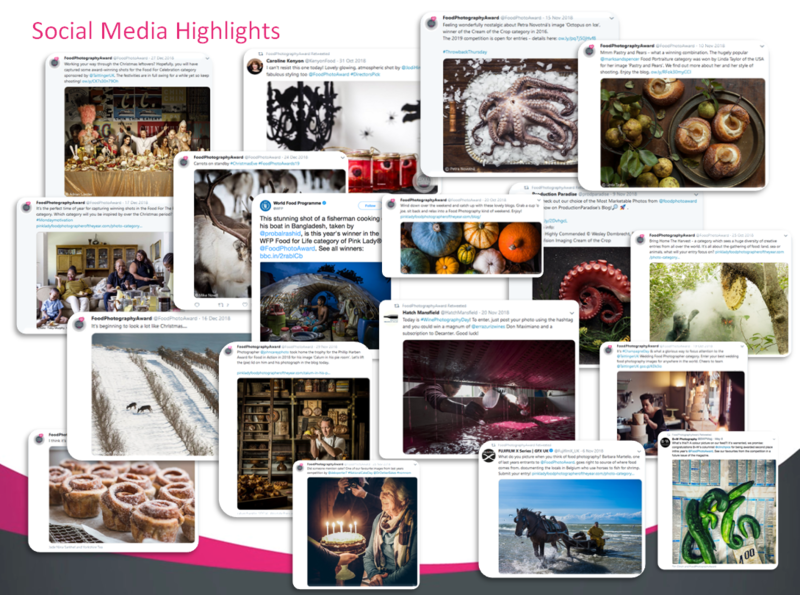 Credited Shortlisted and Finalist images are widely shared across all of our social media channels and with our sponsors throughout the year further increasing your profile. Just check out our feeds on Facebook, Twitter and Instagram! 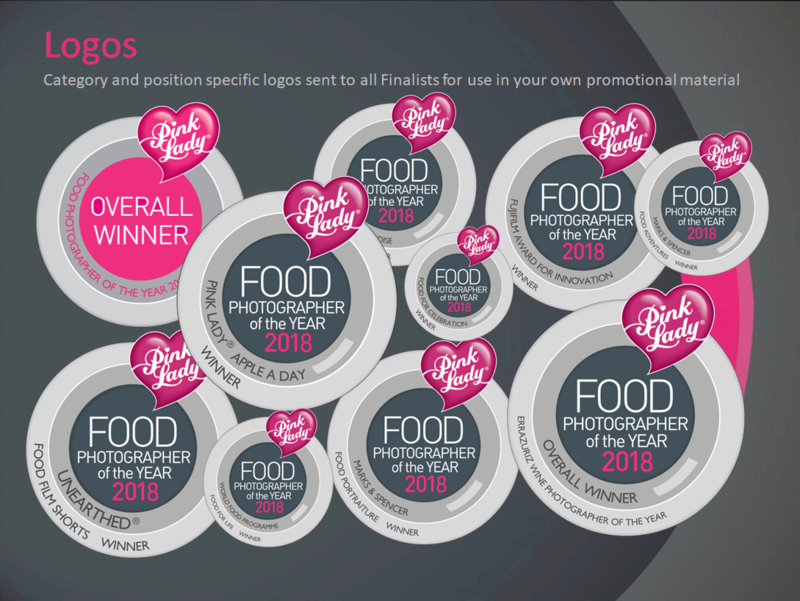 Every Finalist receives dedicated category and position specific Pink Lady® Food Photographer of the Year logos to use in their own marketing on websites, emails and other promotional collateral. Put your photography in the limelight in 2019! Copyright © 2019 Pink Lady® Food Photographer of the Year, All rights reserved.